It’s March 2019, and what an exciting time to be transacting in real estate, either as a consumer in the buying or selling of property, or for those who represent and help consumers on the sales side. A great real estate professional will add value to both buyer and seller clients alike, assisting them with the myriad of intangibles that take place during a typical sales process. The advancement of technology in real estate is like that of technology in many other areas of our lives, helping make the transacting of real estate easier and for the betterment of all. From time saving apps and programs, to more transparent access to vital information such as past sold prices, the advancement in technology should be seen as beneficial for all! We all are consumers. And what do most consumers want? Easy access to vital information for one. Great, tech can check that need. What else? How about options on varying levels of service? Tech can check that off as well. How about saving time and money?! Saving money you say? Now this is a biggie! And it’s big because in my opinion, this is where the breakdown in belief stems from. Confusion around how saving money for consumers might lead to the elimination of your average Realtor. I’ll start by saying personally I think the days of the “average” Realtor are numbered. Sorry Realtor friends, but it’s all a part of evolution. As we streamline to more tech enabled services, casualties will happen. Agents who haven’t invested in continuing education or streamlined their businesses to allow for tech to be part of their offering, and other business must do’s, your days are numbered. I won’t go into detail on the factors that will contribute to the demise of this type of agent, yet instead let’s look at what the thriving and surviving Realtor will look like. The short answer, is ah No, they do not. And here’s the kicker. Most agents who fall into this category don’t either think, or know that the way they are currently operating, isn’t aligned with the mindset needed for survival. Sure, in some areas I’m certain most Realtors are under the belief that they are operating just fine. And, I know for a fact of some Realtors who believe that they know best, not only for themselves but of those in whom they represent. But in the ever changing real estate industry, the reality is, they don’t. Nothing tech based can replace the complexities of a competent human being. And this is where most agents end the conversation. But this should be the beginning of the conversation. If you were to ask the majority of experienced and active agents on how easy it is for a buyer or seller to transact without an agent, 99% would reply, not very easy at all. Those in the know, actually know how difficult of a process it is from start to finish, and doing so without being sued. Yet too many agents (and Brokerage companies) just stop at that. Why change when we know they need us? Because that’s not being consumer first focussed. Opening up one’s mind to a future where what’s successfully worked for you in the past, may not be the right mode of operation in the now, is a step in the right direction. There are so many things the average Realtor does today that is not in the clients best interest, yet they continue to do so because that’s the way it has always been. The syndication of listing data is one such thing. Ease of access to information is in everyone’s best interest, especially those who are not trained or as knowledgeable (the consumer) about transacting in real estate. Traditional organized real estate could build a better, or equally advanced system, but sadly they are not consumer first focussed. They are Realtor first focussed, and more specifically, they are Brokerage business first focussed. And what is such a simple and now frustrating dilema for many real estate agents like myself, is a potential outcome of throwing the baby out with the bath water scenario. The good news in all of this is that being a Realtor, or being involved in the real estate business is one of the truest forms of entrepreneurialism. The industry attracts hard working, creative thinkers who are programmed and have accepted the notion that each and every day, they wake up virtually unemployed. They invest their time, money and energy in advance, with the expectation of earning a living, and with the reality of that not always being the case. And as the numbers have reflected for a very long time, 10% of us are successful at it, and the other 90% are still trying to figure it out. Personally, I think the future is bright for those willing to adapt to the change at hand, change that will continue to present itself as we continue to evolve in this tech happy era. Be consumer first focussed and your future will be fine. And one day, when we finally reach a point where a weary buyer or panicked seller can turn to their trusted robotic ally, and get the valued support and hand holding needed to see the sale through completion, we can retire happily. Until then, go at it. The much anticipated budget release yesterday by the Federal Liberal party turned out to be of little value for home buyers in Toronto. Obviously it’s too early to tell how successful such a plan will be, but I have doubts it will be anywhere near the 100,000 households over three years the government seems to think will take advantage of it. It should be noted that British Columbia tried a similar plan a few years back and it was cancelled in 2018 after failing miserably. For taxpayers across Canada, it’s added more risk through CMHC and the potential for losses covered by the Federal program. But then again, CMHC fees on uninsured mortgages have been as lucrative for the Feds as cocaine is for drug cartels. For first time-buyers in the Toronto area, forget about this budget. The reality is, it won’t be of any help to you. On the resale buying side, if you were purchasing a property for $400,000 and had saved 5% for a downpayment, the government would partner with you up to a maximum amount of 5% ($20,000) and in theory, you would be purchasing with a 10% down payment. It’s not clear if the CMHC fees would be paid at the 5% amount invested, or the 10% total? Oh yeah, as it’s currently proposed, you are partners with government on any increases or losses when it comes time to sell. Also not clear is at what stake. Is it a 50/50 partnership? The program is capped at the max of $120,000 income x 4, which equates to $480,000.00. Good luck on finding much in that price range. Actually, for those on the cusp, it could be argued that your government just screwed your chances of getting into the market as prices will certainly rise due to the changes. Oh yeah, even know the fine print hasn’t been disclosed on many parts of the program, it wouldn’t take effect until the fall of 2019. It seems the government is trying to force people into the new construction side of the market. Here the incentive is higher and the government will pony up to 10% ($40,000). Which for them makes sense, as all levels of government rake in lottery sized winnings on fees collected from development charges, permits and taxes. Who should rejoice? Homebuilders for one. They have been raking it in for years and as of late, the slowdown in new construction sales has hit them hard. For the rest of the market and economy, it’s going to be wait and see. A few days ago I was in discussion with a cooperating agent on a property listing I have for sale. I was answering for him a few questions about the property that weren’t noted on the MLS listing, but were important to his client in nature. After the questions were answered our conversation turned to the highly competitive marketplace and the angst sometimes felt by a buyer looking to bid on a property in a hotly contested market. He thanked me for my time and professionalism in my understanding and responses to his questions, but after we had hung up it got me to thinking further on the subject, and specifically about a podcast I had recently listened to on the topic of virtual assistants, or VA’s, and the tasks that they are handling. Now I’ve been around the Toronto real estate industry as a full time agent for 24 years, and before I continue on, I want to be clear and upfront that the majority of agents I know personally, and myself included, carry out first hand the evaluation on a property. But there are some agents who utilize the services of an administrative assistant (non licensed/licensed) to do so, or as this podcast guest had been touting, “it’s a task you can have your VA carryout”. Absolutely NOT! Yes, a capital NOT!! I don’t care if you as the lead agent review the evaluation after its been completed, this is a major no-no in my opinion. Contrary to what online sites will try and tell you, algorithms cannot put a value on your home that should be considered accurate if one were to place their home for sale. Don’t believe me? Google it and look for the lawsuits on behalf of those who thought their computer could spit out fair market value for their home. If the person who comes over to your property isn’t asking you thought provoking questions on the state of the property, regardless if you understand their intent or not, you should raise a weary brow. Realtors have a duty to view a property in person and ask questions about potential defects, which are defined as either Patent or Latent in nature. Patent defects are those that can be discovered by inspection and ordinary vigilance on the part of the purchaser. With respect to these, the ordinary rule is caveat emptor. Latent defects are those which would not be revealed by any inquiry which a purchaser is in a position to make before entering the contract. So, as you can see, without an in person inspection of the property and using one’s trained eye and experience, there is potential for some serious problems. This is not meant to scare you. There is the potential for something to be missed even by an experienced Realtor, Professional Home Inspector (I’ve seen it) even an unwitting seller. It can happen. But having a virtual assistant, or anyone for that matter not trained in putting a value on your property, prepare yourself for the lawsuit ahead. Today the Toronto Real Estate Board released its sales figures for the month of February and as I’ve written about over these past six weeks, it’s been busy. And this month is no exception. Prices are edging up for both houses and condominiums where demand continues to be strong throughout the city. Inventory levels continue to drop and this is what’s helping push prices slightly up. I’ve been in multiple offers in many neighbourhoods across the city, and the demand is strong for Toronto real estate. Last night we were unsuccessful on a bid for ahome that was listed at $1.8 million, had seven offers on it and was sold for $2.225 million. Yes that’s a staggering $425,000 above the list price! It seems the stress test rules put in place have constrained the market in many ways, and some that were unintended. Renewals for mortgage financing is making it more difficult to move for some, and that’s all we need in a city that’s already short in supply. With many of the properties I’ve been involved with of late, it’s not uncommon to have anywhere from 6-12 offers competing. Imagine if we had more available listings? Sales would be up. Prices might even moderate as we’ve all been hoping for. It might soon become easier for first time buyers to enter the hot Toronto real estate market. With an election looming and the government needing a distraction away from ‘Yogi Trudeau’ and the fiasco currently at hand, the government is considering bending on it’s toughened housing policies. I’ve spoken previously how in its attempt to cool an out of control housing market in Toronto, the government put restrictions in place which mainly affected first time buyers and buyers with single incomes. What’s going on in Toronto’s rental market and Toronto Mayor Tory now ready to tackle city affordable housing speak to how unaffordable its become to be a single income or first time buyer in Toronto. But this soon could change. With pressure being applied from numerous organizations, the federal Liberals are contemplating an easing on the stress tests and amortization lengths that have along with rent controls, pretty much made it impossible for only the super wealthy to own property. If implemented correctly (meaning its target is to help those mentioned above and not deep pocketed investors) I think this could be a good thing for buyers. Afterall, there really should be more than one choice when it comes to living accomodations. For some it’s better to rent, and for some it’s better to buy. Let’s let the consumer decide which they prefer. If you are one of the lucky few who are selling a property these days, be prepared for the potential for some hiccups along the way until closing day. Now before any anxiety starts to set in, I will note that almost always, hiccups can happen along the way between the day you have excitedly sold your property in a crazy bidding war right up until the lawyer hands you over your money on the scheduled day of close. Working feverishly behind the scenes are both the real estate agents representing the Buyer and Seller, as well as both parties Lawyers. All are committed to mutually making a seamless process and satisfied clients. When I’m on the selling side I will tell my clients, we need to sell your home three times in total. This is where a smile turns into a curious frown most of the time. What do you mean three times?? Well, the first time will be when we receive an offer on your home. The second time will be when the lender for the Buyer sends in their appraiser. The third time is actually on the close date. All three are tied together and almost always, we have a smooth landing come the closing date. Some turbulence will happen along the way, it always does, and if you are working with professionally committed Realtors and Lawyers, in the end we will have two satisfied parties. So rest comfortably knowing that while you are out shopping for new furniture or window coverings, behind the scenes your team of competent professionals are working tirelessly to ensure a smooth landing. Multiple offers are back in full force in the downtown east side neighbourhood of south Riverdale. The freezing temperatures haven’t seemed to scare off hordes of buyers and their agents. At least that’s the case in the house price range between $839,000 – $1,200,000. Last week there were 5 sales with listed prices of $839,000-$999,000 and all sold with at an average 118% above the listed ask price. It seems there are plenty of buyers looking for this price range of property, as some of the listings had upwards of 13 registered offers. Demand for 3-bedroom homes is strong in the area so if you were contemplating making a move, and if your house is in ready-to-sell condition, I would put it on the market pronto. 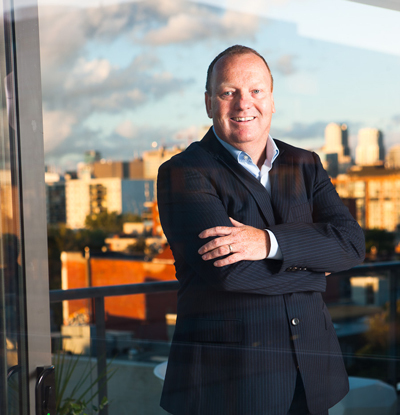 Every year the Toronto Real Estate Board provides a market outlook on the upcoming year. TREB recently released their 56 page report. In this annual report a host of topics are covered, a few of particular interest to me stood out. Of course I’m always interested in the forecast on the number of sales transactions and average prices. But this year I was really excited to read about the “missing middle” on housing and what is going on in the crazy the rental market. In 2018 we ended the year with 77,375 sales (down from 2017’s total of 92,624) and the average sales price declined -4.3% to sit at $787,195. These stats are for the GTA and not Toronto proper only. In 2019, TREB’s putting the sales volume at 83,000 transactions and a sales average $820,000, which is close to the 2017 average ($822,000). To be noted, the transaction prediction is based on the 5yr interest rate being more affordable then it was in 2018. In summary, average prices will increase +4.5% and sales activity to increase +7.8%. This would be positive overall if it were to come true as we’ve been experiencing declining sales over the past two years and 2018’s numbers were the lowest in the GTA since the recession year of 2008. These types of properties are hopeful in that they will bring desperately needed affordable housing to the city, which I’m all for. Relaxing zoning laws so that laneway housing, triplexes and quadplex’s can be built would provide much needed affordable housing options. We have enough high rise rental units and adding mid rise and low rise options would also add to the communities that they are built in. I really hope we start to see major headway in this regard. Onto the rental market outlook. Outside of the report that rental rates for 1 and 2 bedroom units across the GTA, had increased around 10%, and the negative affects on the rental market brought on by the housing policy changes put in place by the Liberal Government in 2017, the thing that rocked me the most, were results from a November 2018 Ipsos survey. WOW! That is a potentially huge hit on the availability of available rental housing already in place. What does this mean for the sale of new condo investments (most of which are targeted towards investors)? It makes sense as the gap between carrying costs and rental income, especially in a world of rent control, make it difficult to actually turn positive cash flow. Yes, appreciation in values have helped investors but if that is all you are banking on, then to me you are more of a speculator than an investor. It looks like 2019 could turn out to be a very exciting year in the real estate market. I’m really excited for the advancement of laneway housing and hopefully an influx to building triplexes and quad units. 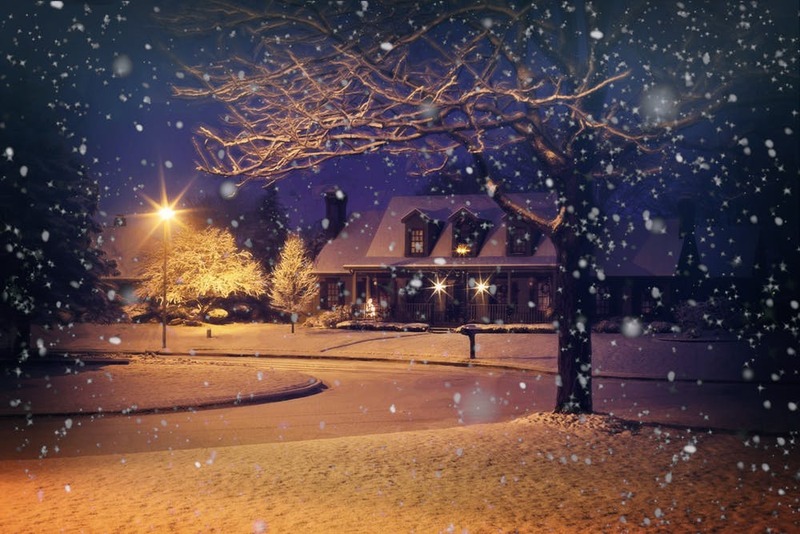 Snowstorms, ice storms and even rain, all make for a good time to be a smart buyer and out looking at homes. The problem is, most buyers want to hibernate during bad weather times. What makes it a good time? January and February tend to be two of the slower months sales activity wise for starters. Yes, there may be fewer choice listings to choose from, but there are also fewer buyers competing, and pushing up the sales price as well. You also tend to get better motivated sellers. As a seller coming out against less competition on the sale side might be an advantage. But when bad weather hits, and buyers slip into hibernation mode, and fewer showings are happening, maybe that motivation gets a tad higher. Maybe? We often follow the herd mentality which is why springtime often brings out both a peak of sellers and buyers. But when all it takes is one buyer in competition to pony up a higher price, potential savings are wasted. Take for instance an actual savings of twenty thousand dollars ($20,000) in a purchase price. With many houses hovering around the million dollar mark ($1,000,000) and if you were using a down payment of 20%, you would actually be saving the equivalent of one (1) years worth of equity pay down by paying a paltry $20k less. The return to you the buyer is huge! So if purchasing a house or condo is on the horizon for you this year, become a smart buyer and get out there now and buy something. The savings are worth any inconvenience of being out looking at properties in the inclement weather.